Note: Some emoticons appear under more than one heading. I'll update this whenever I add a new emoticon. Last edited by oqua on Wed Feb 15, 2017 11:32 pm, edited 10 times in total. 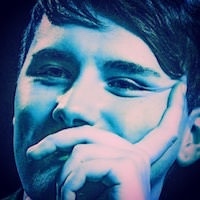 karma_yeah wrote: I feel totally guilty even asking after you've made the haru pillow and all the other recent awesome additions, but what do you think about a little tabinof icon and maybe a tatinof one as well a (a little tour bus?). I figure there will be a lot of use for those over the next few months and phan goggles maybe? Don't worry about requesting emoticons! Creating new ones gives me life, seriously. I'm going to hold off on making a tour bus one until we see what their actual bus looks like, but I'll get on the other ones right now. They're a bit hard to see on dan's version (black strap), but other than that not bad!! Edit: look great on Phil's!! I always had in my head glasses kind of like the new years' eve ones with the dates on, but with PHAN written across the front no idea if that would be a feasible thing to make though! icklebrina wrote: They're a bit hard to see on dan's version (black strap), but other than that not bad!! Ohhh, good point about the Dan theme. I use the Phil one so I forget sometimes. I'll see if I can edit the strap color. Also I think your idea is hilarious and I'm now going to try to make that. How are these? I had no idea what to do with the colors lol. Do you like the colors? I did red because...idk, cherry. But then I wanted to use some purple too and it came out kind of random. Maybe I should have done blue and red. I like the idea of blue and black, but that probably wouldn't work so well on both themes. Blue and red could work too! I like it as is, though. I finally caught up on the 9 pages I needed to read through in the main thread and found this thread! I love emoticons tool It's kind of like having our own shared language and I think it's one of the things that contributes to making this truly a "community". So THANK YOU! How do you make emojis? When I was thinking about a symbol for the tour, I googled clip art for "tour bus". Do you just miniaturize something like that? If any other emoticons look weird or bad in the Dan theme, please let me know and I'll edit them too. I edited the aforementioned emoticons. Hopefully they work better on the dark background now! I think the image of D&P is a cheeky reference to the infamous valentine's day video. Haha, I was wondering if anyone would be able to tell what the image was. You're exactly right about it. And you're very welcome; makings emoticons is loads of fun. For content droughts or discussion of the barren wasteland that is *the site that shall not be named, ty. how do one use the emotics supplied by missemma&co? above all :can I use them? Find the emoticon you want to use and right click and choose "copy image address" or "copy image location" or something of the sort. Then paste it in between the [img ] and [/img ] tags. ^^ I agree to add an emoticon as a gesture to wishful thinking but I am not comfortable with 'finger cross' because it is a bit christian to me. I am probably a minority tho. Hahaha. swofro wrote: ^^ I agree to add an emoticon as a gesture to wishful thinking but I am not comfortable with 'finger cross' because it is a bit christian to me. I am probably a minority tho. Hahaha. I do agree there should be some kind of hoping / begging / pleading emoticon, since now when I look at the old begging one all I can see is sad but hectic wanking. Does anyone else have opinions on the "fingers-crossed" subject? If anyone has any good emoticon ideas for this, please post them here or link to a picture!